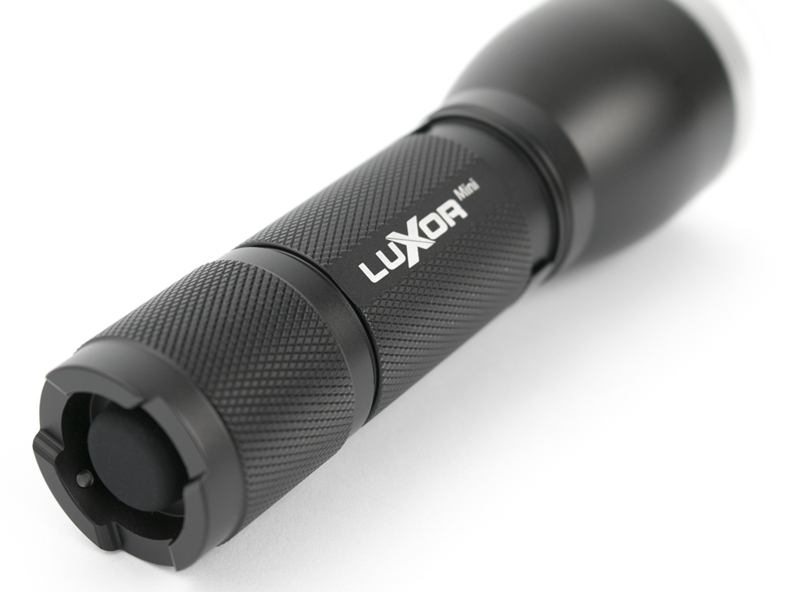 Just point - Luxor’s built in accelerometer detects its orientation and delivers the perfect lighting for that situation. Digital focus - Dynamically adjust the width of your beam from 12º to 270º without any moving parts. 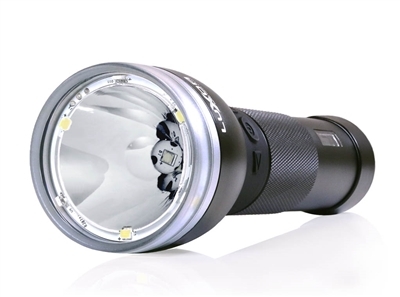 7 strategically placed CREE LEDs pack the power of a traditional 60 Watt bulb. 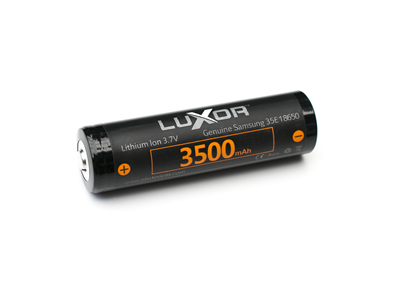 Luxor™ Mini encapsulates the powerful features of our Luxor™ 2 into one simple pocket size device. 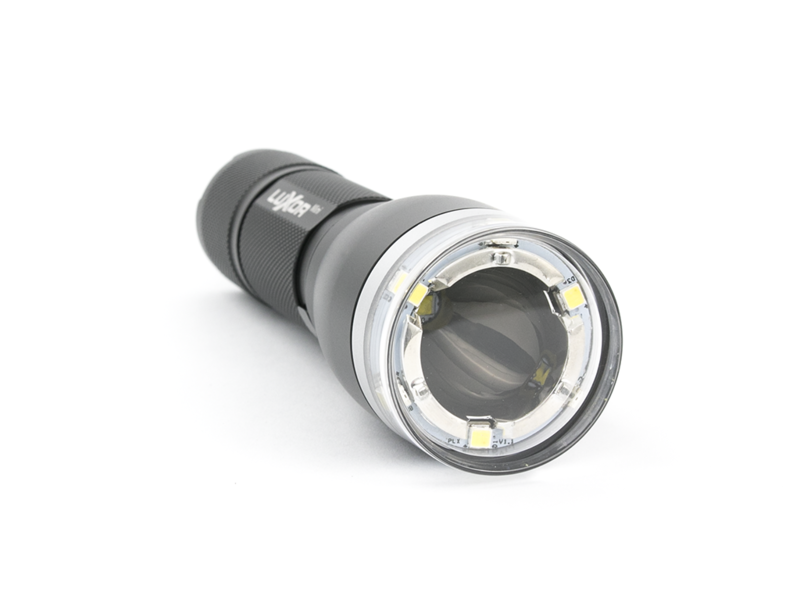 Focus from 12° to 270° in auto and manual focus mode to deliver light designed specifically for the human eye's full range of central and peripheral vision. 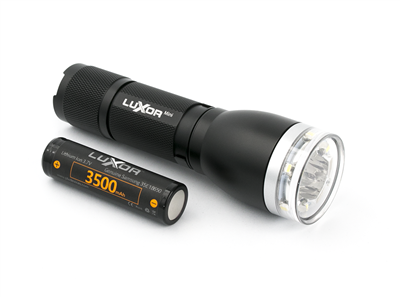 Just Point, Luxor™ Mini can automatically detect where it is being pointed to deliver the perfect lighting for that situation. 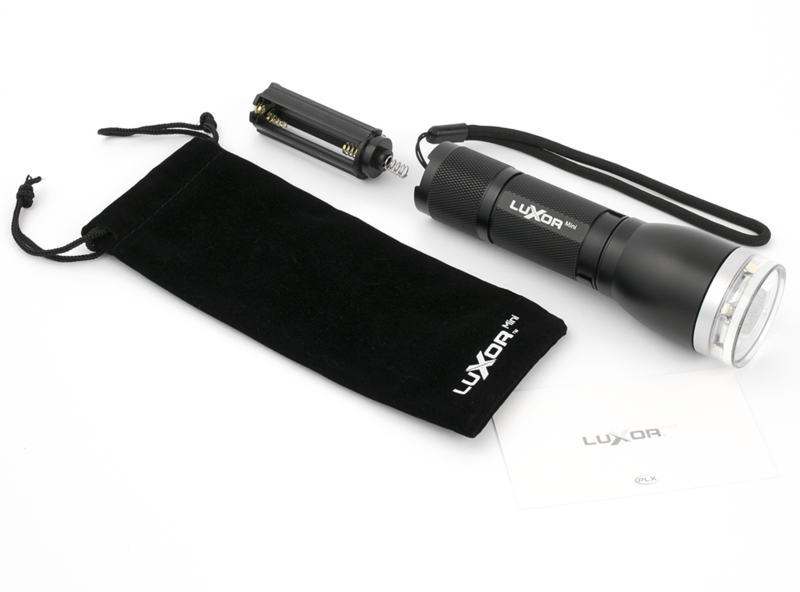 Lantern - Place on a flat surface (or point it straight up) to get an instant lantern. Narrow beam - Point at an object further away and Luxor adjusts to deliver a greater throw. 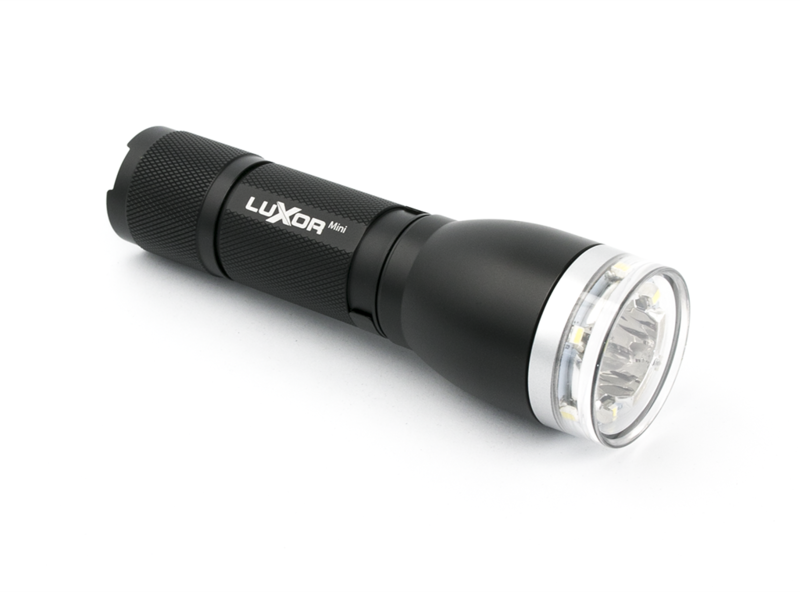 Wide beam - Point at the trail in front of you and Luxor delivers the ideal wide beam. Flood - Point at the ground for a perfect flood light illuminating the area around your feet. Adjusting the digital focus anywhere from 12° to 270° is as simple as a turn of your wrist. 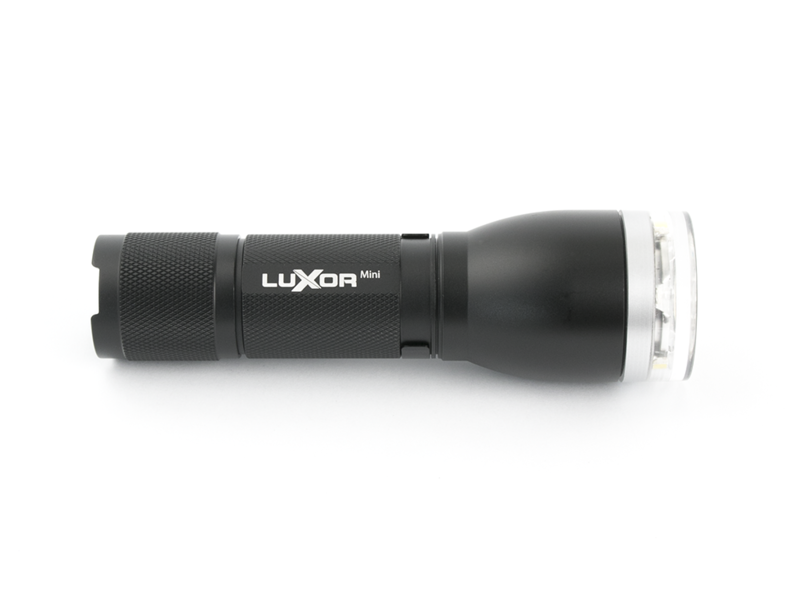 You can adjust your light output smoothly from 0 - 100% and everything else in between with a double-tap then by pointing towards the ground for a low light output, and pointing up towards the sky for a higher light output. Release the button to set/store your brightness level. 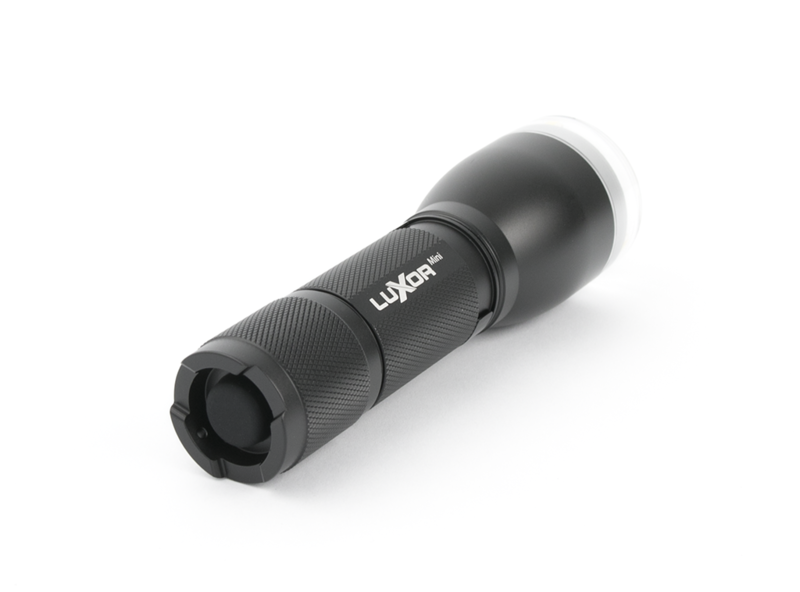 Luxor™ Mini is completely water and dust proof with a waterproof rating of IPX-7 or better and highest dust proof rating of IXP-6. Water IPX-7 offers protection from complete water submersion up to 1 meter deep for at least 30 minutes. 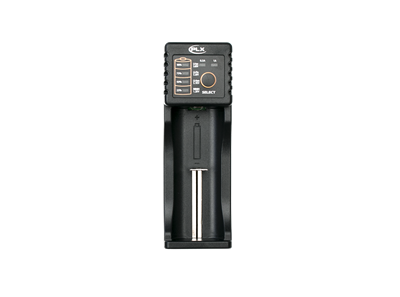 Dust IPX-6 offers a complete dust free protection for the device.